Its not too early to start thinking about Christmas! 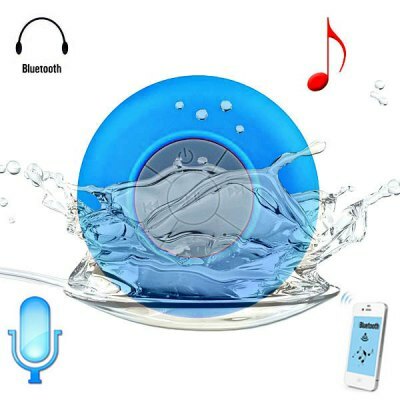 My family recently drew names for this year’s Christmas gifts, and I got the name of my little teenage brother.Â I know I still have plenty of time, but since then, I’ve been thinking constantly about finding the perfect gift!Â I think teenage boys are so tough to shop for!Â I came across this shower speaker that connects through your Bluetooth device, and I thought “Perfect!”.Â If you are also on the hunt for the perfect gift and you’d like to cross something off your Christmas shopping list early, read on. 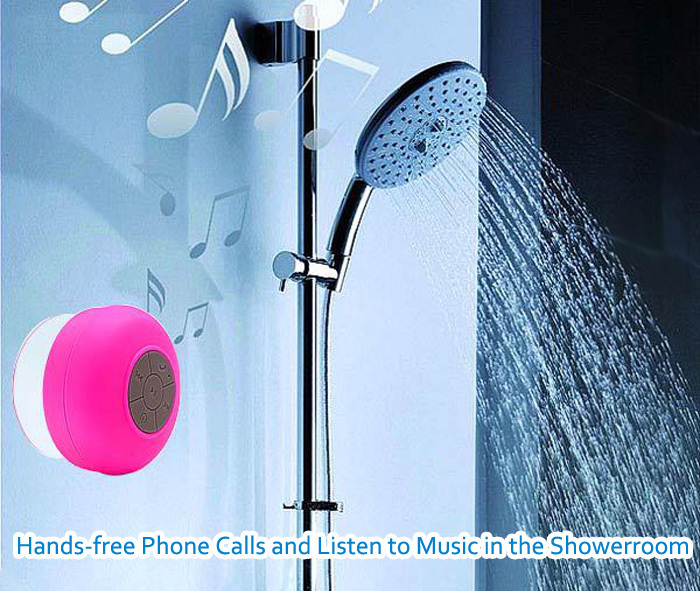 This is the Bluetooth Water Resistant Shower Speaker.Â This is not just a radio that sits in your bathroom, but a speaker that hooks up to your Bluetooth function so that you can listen to YOUR music favorites, and all right in the shower.Â (Just don’t drop the speaker into the water). 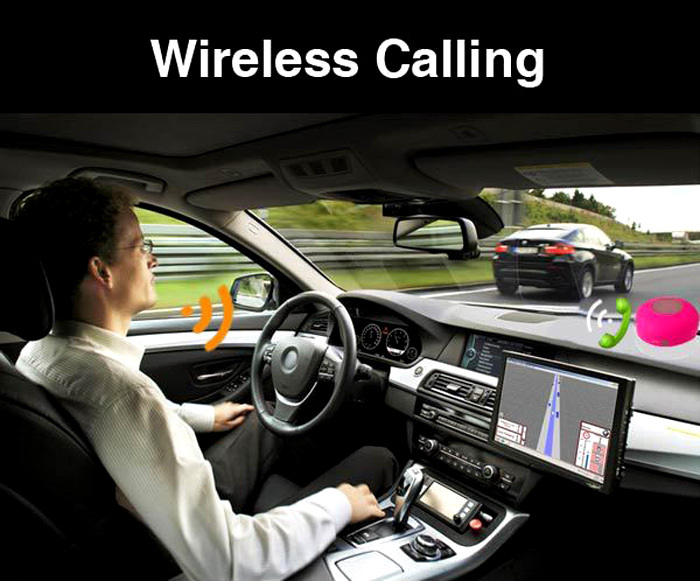 This speaker also allows you to make hands-free calls!Â You have a microphone andÂ volume control that is portable, so you can pluck it off the shower wall and take it with you wherever you go.Â In the car, you can utilize the option of hands-free phone calls and amplified music in the car.Â This really would have come in handy when our toddler fried our car stereo system! Something this fancy is bound to a little pricey, yes?Â $9.99.Â Honest!Â After a 3-hr charge, you’ve got 6 hours of play time, and it comes with a wall charger. This is compatible with MP4, PSP, MP5, Laptop, Mobile Phone, Tablet PC, PC, MP3, TF/Micro SD Card, iPod, and iPhone.Â It comes in blue, red, green, and yellow! 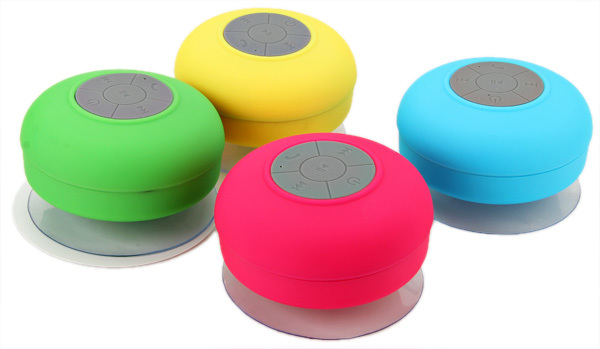 What a great little gadget for little brothers, teenagers, music lovers, and everyone in between! You can find this speakerÂ on Gearbest for $9.99!Â Merry early Christmas! Disclosure: This is a sponsored giveaway on behalf of Gearbest.